The workplace is the worst place for people who want to lose weight. There’s always some guy who brings in doughnuts every Monday morning. And the group lunches ordered from fast-food places; meetings with frothy, fattening drinks; and the big bowl of candy sitting on a well-meaning (but clueless) coworker’s desk. Arm yourself with the right stuff. Bring an apple or other healthy snack to a meeting. Everyone else will be envious of your willpower and forethought, and the snap of the apple as you bite into it will get everyone’s mouth watering. (Bring an extra one and give it to the person who comments first.) Brown bag it even if you know the boss is springing for pizza in the conference room. Stock your desk drawer or locker with nutritious foods. There’s a kind of built-in bonus to showing such discipline at work. It will show your boss that you are in control of your life, which can be a good career move. Being in control is powerful, and powerful people usually get paid more. Try one of these 31 healthy snacks for adults. 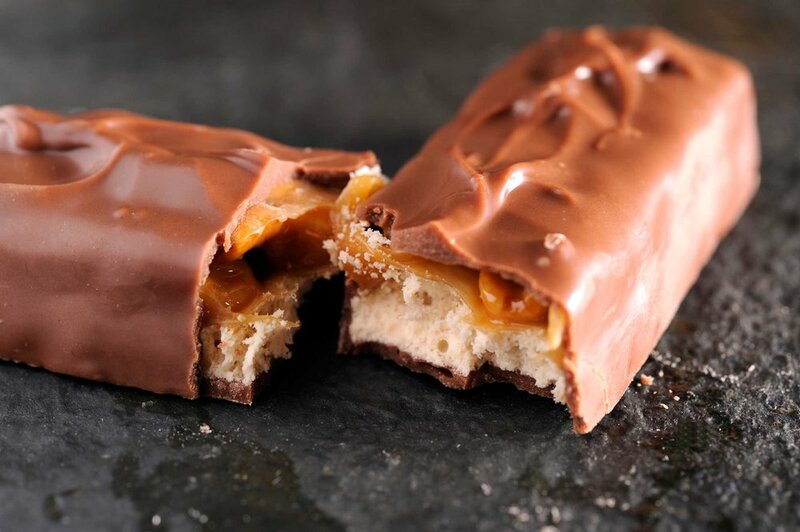 Say you unwrap a candy bar, break it in half and set it out where you can see it oozing caramel and peanuts. If you had cameras on you, it would keep you honest. Nobody wants his or her weakness to be public knowledge. But if you’re in a one-bedroom apartment and that candy bar is sitting on the coffee table, the voice in your head telling you to grab and eat it is going to get very loud. Take a photograph of that candy bar and post it on Facebook with a sentence about how, in a test of willpower, you’re not going to eat it for 24 hours. Then report in. “Four hours down.” “Fifteen more hours to go.” You’ll get comments like, “Oh my god, I could never do it!” and “You go, girl.” How great will it be when, at the 24-hour mark, you post a picture of yourself tossing that candy bar in the garbage? (Let me just add that, as a precaution, pour soap over that candy bar. I’ve had people tell me that they’ve dug food out of the garbage.) You might even take a video of yourself running over the candy bar with your car. Post the video; people will love it! Here's how you can train your brain to hate junk food. In my household, we eat our dinner on salad plates. I’m no saint: If I had a regular-size dinner plate, I’d fill it up just like everyone else. I used to do it all the time, and the upshot was that I’d end up eating a giant bowl of pasta and other out-sized meals. But then we started using the salad plates and our portions came down to a healthier size. But we didn’t feel deprived. Maybe you’ve heard this change-your-plates tip before, but believe me, it really works. That’s because we’re not really hungry for everything on our plate, but we eat it anyway because it’s there. If you’re using smaller plates and bowls, you’ll still eat what’s there, but it will be less—though your brain won’t register that. It’s all about perception. I don’t mean kind of keep them. If you say you’re going to eat a healthy lunch, don’t grab a bag of potato chips at the register. As with everything, go for reasonable, not radical. Don’t promise to do an hour of cardio if you haven’t exercised in a year. Make a list of your promises for the day. 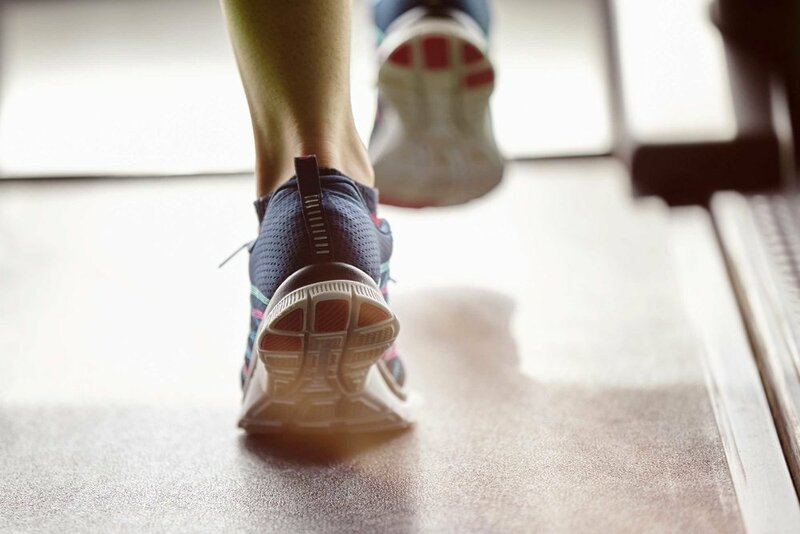 Things like, “I promise to do 30 minutes on the treadmill.” That does not mean you get off at 25 minutes or even 29 minutes, no matter how much you want to. Believe me, your body will send powerful signals telling you to get off early, but if you stay with it, eventually your body will get accustomed to the challenge and reward you for finishing. Plenty of people I work with on my shows say “I could never run at a 5.5 on the treadmill.” To prove them wrong, I put a towel over the readout, slowly move the pace up to a 7, and they don’t even notice! So don’t let a number put a glass ceiling on your progress. Newer Post5 Weight Loss Tips & Tricks!